*CLEAN CARFAX* One Owner! LOCAL TRADE IN! 4-WHEEL DRIVE, Titan SV, 4D Crew Cab, 5.6L 8-Cylinder SMPI DOHC, 5-Speed Automatic, 4WD, Cayenne Red, Charcoal Cloth, 40/20/40 Manual Split Bench Front Seat, Outside temperature display, Panic alarm, Power door mirrors, Power windows, Rear step bumper, Remote keyless entry, Security system, SV Style Cloth Seating Surfaces, Tow Package, Utili-Track Channel System. 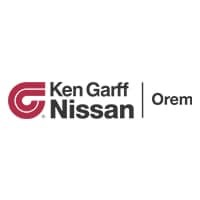 NON-SMOKER VEHICLE!Ken Garff Nissan of Orem is excited to offer this good-looking 2015 Nissan Titan. SV Cayenne Red 4WDIncludes GarffCare! (Complimentary Towing along Wasatch Front, Roadside Assistance, Complimentary Multi Point Inspection, Flat Tire Repair, and Car Wash with every Service Visit)Recent Arrival! CARFAX One-Owner. NISSAN CERTIFIED PRE-OWNED *CLEAN CARFAX* One Owner!! !, LOCAL TRADE IN! !, SUPER LOW MILES!! !, ALL WHEEL DRIVE, NON-SMOKER VEHICLE! !, Titan SV.CERTIFIED PRE-OWNED INCLUDES: Extended Warranty (7 year/100,000 mile Limited Warranty) covers over 600 components, Emergency Roadside Assistance, Towing Assistance (up to $100 towing assistance), Car Rental Reimbursement, Trip Interruption Coverage, Sirius XM Free 3-month trial. **CLEAN CARFAX**, One Owner!! !, LOCAL TRADE IN! !, SUPER LOW MILES!! !, 4-WHEEL DRIVE, NON-SMOKER VEHICLE! !, Titan SV, 4D Crew Cab, 5.6L V8, 7-Speed Automatic, 4WD, Gun Metallic, Black w/Cloth Seat Trim, Brake assist, Electronic Stability Control, Heated door mirrors, Panic alarm, Power door mirrors, Power windows, Radio: NissanConnect AM/FM w/SiriusXM, Rear step bumper, Receiver Hitch, Remote keyless entry, Security system, Split folding rear seat, Steering wheel mounted audio controls, Turn signal indicator mirrors.Includes GarffCare! (Complimentary Towing along Wasatch Front, Roadside Assistance, Complimentary Multi Point Inspection, Flat Tire Repair, and Car Wash with every Service Visit)Recent Arrival! Certified. *CLEAN CARFAX* One Owner!, Exterior Parking Camera Rear, Fully automatic headlights, Heated door mirrors, Power door mirrors, Power driver seat, Power moonroof, Power windows, Radio: 160-Watt AM/FM/HD Audio System, Remote keyless entry, Security system, Steering wheel mounted audio controls, Turn signal indicator mirrors. NON-SMOKER VEHICLE! !, Accord EX, 4D Sedan, 2.4L I4 DOHC i-VTEC 16V, CVT, FWD, Crystal Black Pearl, Ivory w/Bio-Fabric Seat Trim, AM/FM radio: SiriusXM.Ken Garff Nissan of Orem is very proud to offer this terrific 2017 Honda Accord. EX Crystal Black Pearl FWDIncludes GarffCare! (Complimentary Towing along Wasatch Front, Roadside Assistance, Complimentary Multi Point Inspection, Flat Tire Repair, and Car Wash with every Service Visit)Recent Arrival! CARFAX One-Owner. Odometer is 8562 miles below market average!27/36 City/Highway MPGAwards: * 2017 IIHS Top Safety Pick+ (When equipped with Honda Sensing and specific headlights) * ALG Residual Value Awards * 2017 KBB.com Brand Image Awards * 2017 KBB.com 10 Most Awarded Brands2016 Kelley Blue Book Brand Image Awards are based on the Brand Watch(tm) study from Kelley Blue Book Market Intelligence. Award calculated among non-luxury shoppers. For more information, visit www.kbb.com. Kelley Blue Book is a registered trademark of Kelley Blue Book Co., Inc.